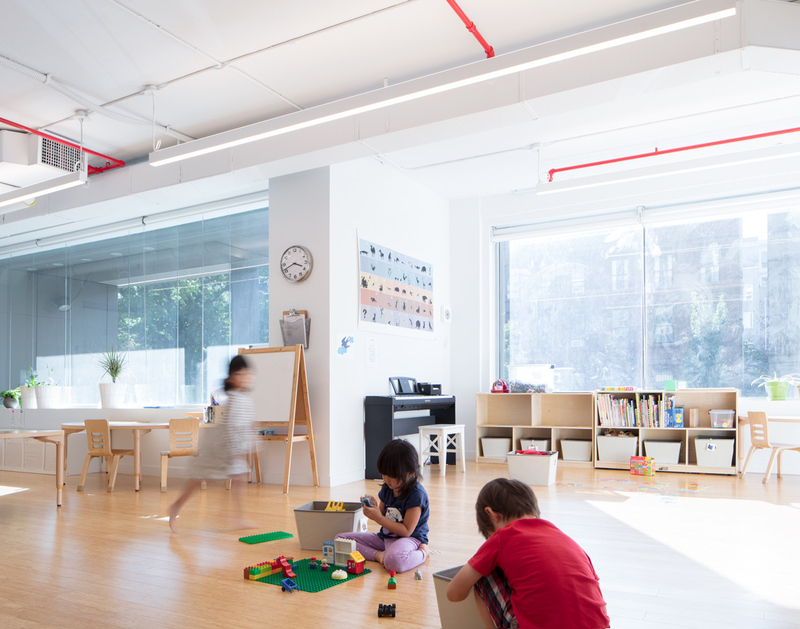 Inaba Williams worked with many constraints to design this light-filled preschool. 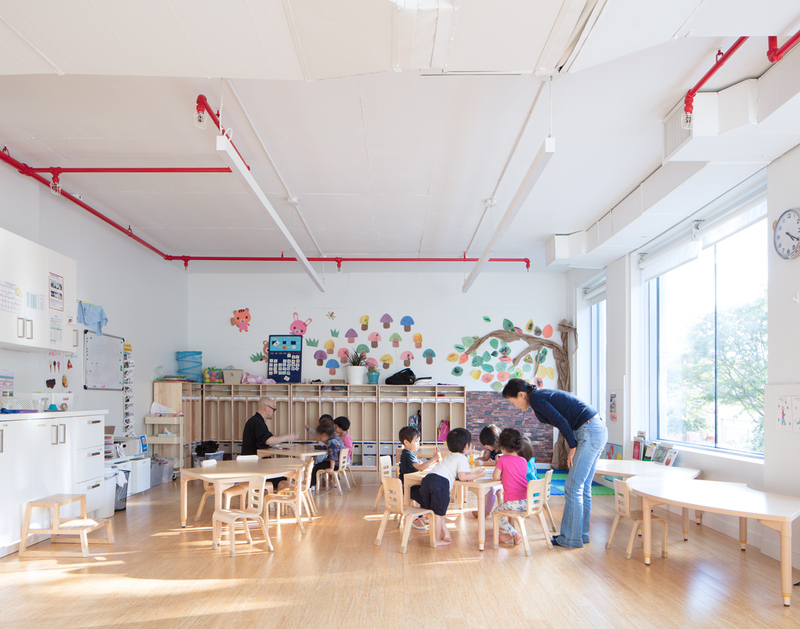 As a cost-saving measure, the Brooklyn Aozora Gakuen leased a property with undesirable conditions. The space is located on a structural transfer floor, wedged between a residential tower above it and a parking podium below, and is filled with many irregularly placed columns that support both. 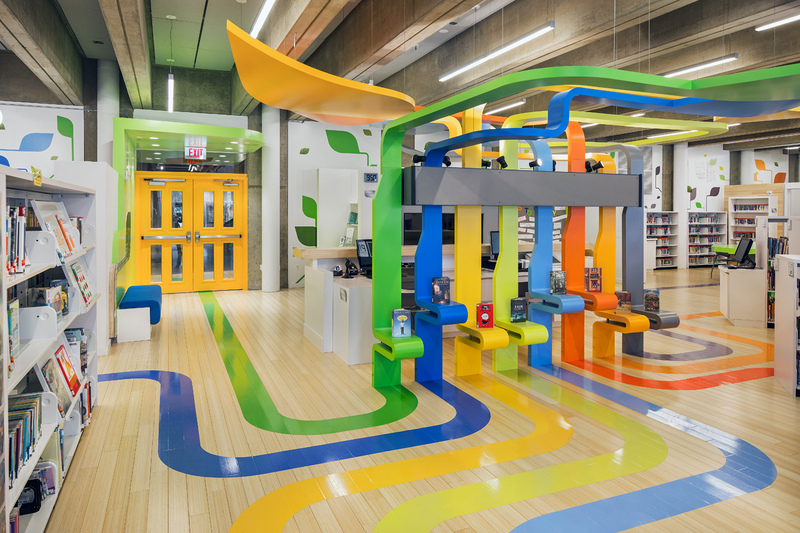 Inaba Williams worked through these conditions by arranging classrooms around a central drop-off and pick-up area and highlighting rather than hiding the columns and other features. 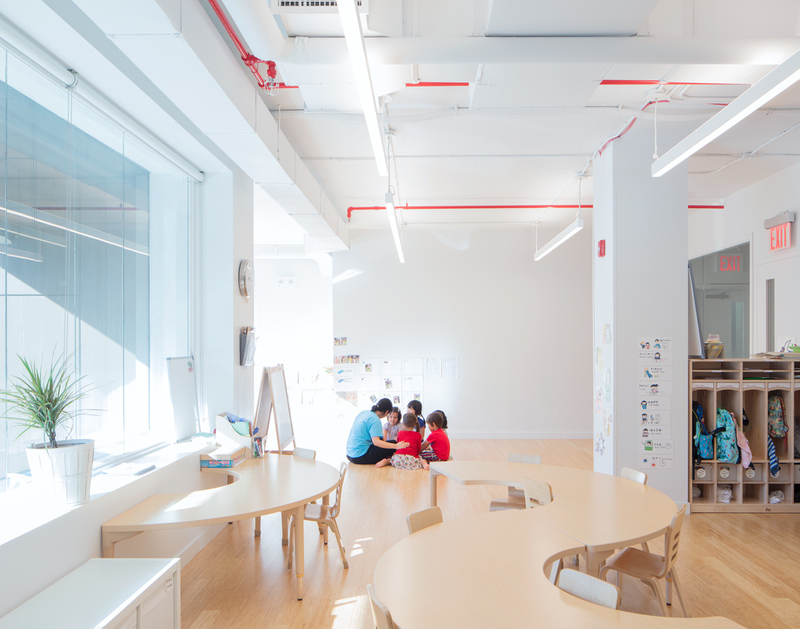 Tall glass panels installed along the interior walls draw natural light into this communal space, while large load-bearing columns are left exposed to frame the wooden floor thresholds of two classrooms.